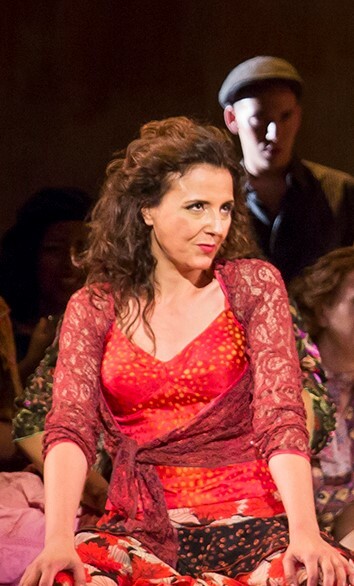 One of Géraldine Chauvet's most successful parts is the role of CARMEN. Recently, she enjoyed huge successes in this very role at the Washington National Opera, in Edmonton and New Orleans. Her very personal interpretation of the role was already hailed by the press and awarded by the audience with standing ovations. The artist knew great success as CARMEN at the Arena di Verona under the musical direction of Placido Domingo, staged by Franco Zeffirelli. In 2018 she sings this very role once again here as well as in Ravenna, Pamplona, Modena, at the Teatro San Carlo di Napoli and in a gala performance in Tokyo together with Placido Domingo as Don José. A recording of this performance was released on DVD. International engagements brought her in the last few years as FENENA to the Washington National Opera, as DALILA together with José Cura to Seoul, as MÈRE MARIE in Poulenc's 'Les dialogues des Carmelites' to Massy and as ADRIANO in Wagner's 'Rienzi' under Eve Querel to the Carnegie Hall. ADRIANO she also sang at the Théâtre du Capitole de Toulouse under Pinchas Steinberg, befor making her succesful debut at the Metropolitan Opera New York as SESTO. She was DONNA ELVIRA and CHARLOTTE at the Arena in Avenches, followed by Mère Marie in Bordeaux, the SEXTON in 'Jenufa' in Avignon and she was re-engaged as FENENA at the Arena di Verona, that she will sing here again in 2018. At the Arena di Verona the mezzo soprano also sang in a‚Gran Gala’ on the occasion of the opening of the new festival house in 2010. A recording of this concert was shown on the Italian TV Channel Rai Uno. The French artist's discography includes a.o. a CD recording of Otello (released by Naxos in 2008) and one of Don Giovanni (also Naxos). Géraldine Chauvet started her musical formation with studies of Music Sciences at the University of Tours. Simultaneously, she took singing lessons with Sophie Hervé. The artist completed her studies with singing studies at the Conservatory of Metz and finished them with a diploma. Subsequently, she took singing lessons with Grace Bumbry. 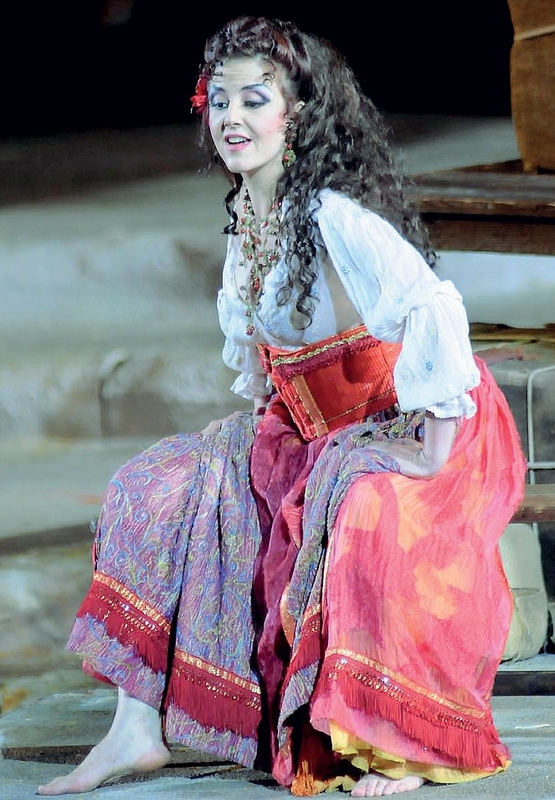 Since 2013 Géraldine Chauvet has been engaged – apart from her re-engagement as OCTAVIAN at the Metropolitan Opera – as ROSINA at the Teatro San Carlo di Napoli, the Royal Opera House Muscat (Oman) and in Bejing. She was successful as GERTRUDE in 'Hamlet' in Avignon, as MARGUERITE in' La Damnation de Faust' in Bordeaux, as CARMEN at the Festival in Athens. She sang gala concerts at the Berlin Concert House and at the Spanish Concert Hall in Prague, Mahler's Ressurection Symphony with Fabio Luisi in Genua and LAURA in 'La Gioconda' in Santiago de Chile. Recently, the attractive artist enthused as als LAURA in' La Gioconda' at th Malmö Opera House , as MARGUERITE in 'La Damnation de Faust' in Santiago de Chile, as CARMEN at the Gothenburg Opera and as ISOLETTA In 'La Straniera' at the Dutch Opera Amsterdam. She was GIULIETTA in 'Les Contes d'Hoffmann' at the Festival de Sanxay and NICLAUSSE at the Metropolitan Opera, where she will return as SESTO. As SANTUZZA she made her successful debut at the Opera du Rhin, Strasbourg. In 2019 she sings a.o. DONNA ELVIRA at the Innsbruck Municipal Theatre. Besides, she sings her first FENENA in a new production 'Nabucco' at the Hamburg State Opera. "Geraldine Chauvet’s Fenena too is a woman who has found herself from the moment , she declares her father being a Hebrew. There is a small detail in Chauvet’s facial expression, her gestures and her voice, that leaves this in no doubt. Also her scenes with Ismaele inherent a huge intensity, passion and tenderness. However, her beautiful, warmly balanced soprano voice and its expressiveness is at its best in her aria at Nabucco’s sick-bed. Here, she touches the visitors’ soul. " 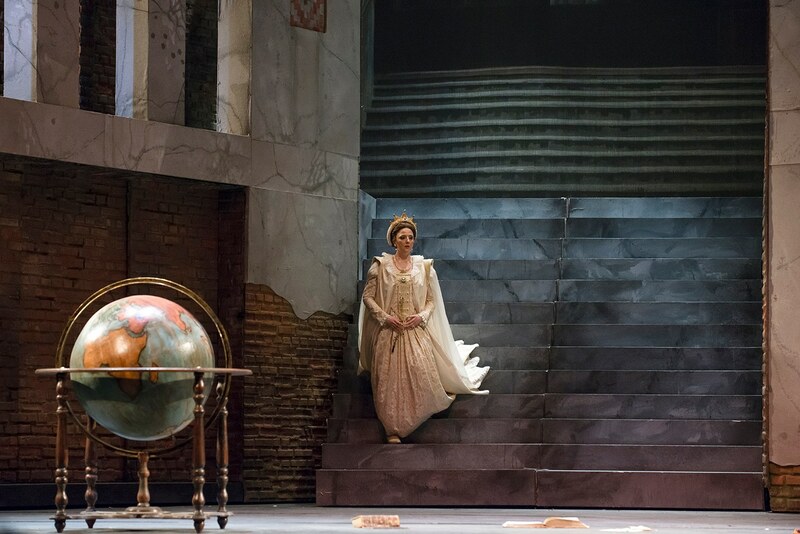 "The Metropolitan Opera's final performance this season of Mozart's last opera, "La Clemenza di Tito," was notable for the unexpected company debut of mezzo-soprano Geraldine Chauvet. The French singer took over Monday night as Sesto... With a winning smile and agile range, she made a strong impression in her first-act aria, "Parto, parto," In addition to shimmering singing, her strong-yet-vulnerable manner contributed to a well-rounded portrayal. The crowd responded with strong applause. " 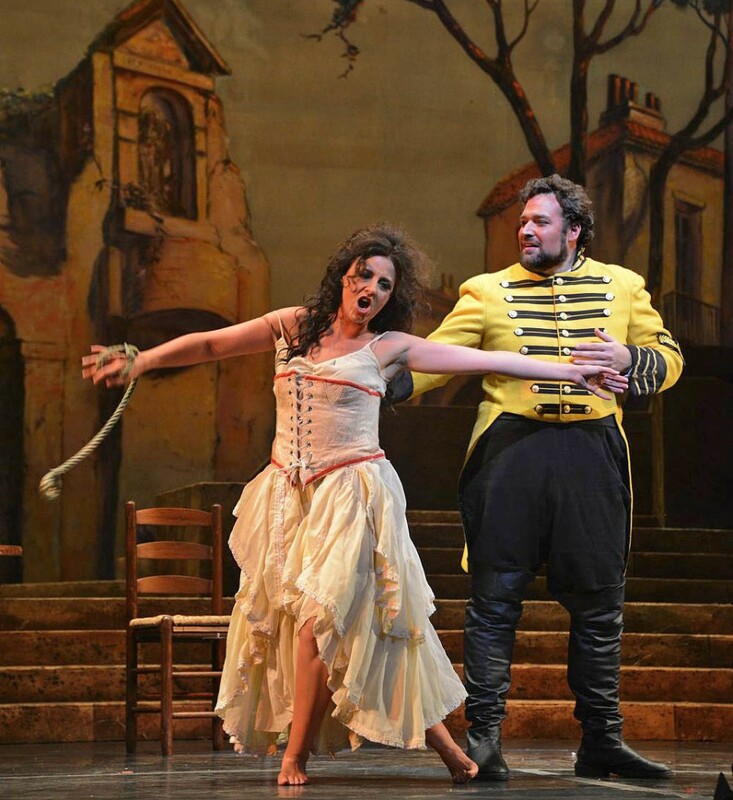 "The mezzo-soprano Géraldine Chauvet won an enormous ovation for her performance in the pants role of Adriano, who is in love with Irene. 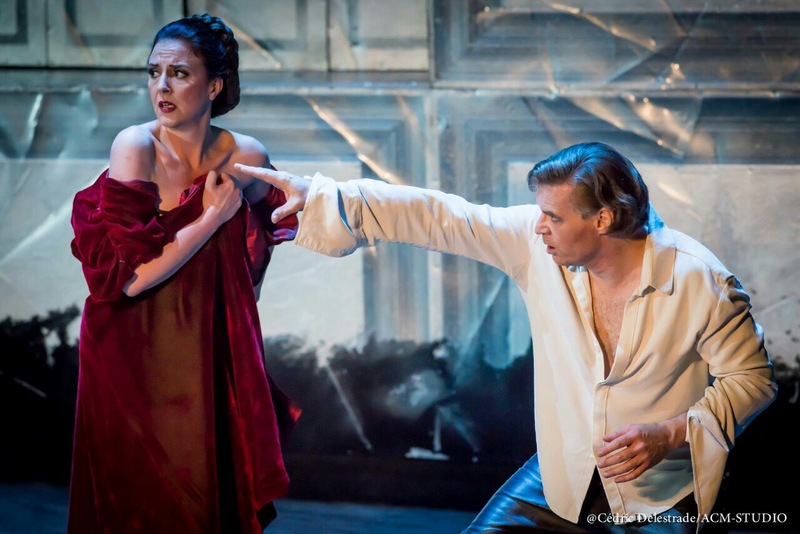 Mrs Chauvet's rich, dark mezzo-soprano voice was singing of throbbing expressivity and style! She sings the demanding Adriano's Aria "Gerechter Gott" in the original key and without cut!" "In the hands of French mezzo-sopranoGeraldine Chauvet, the fiery cigarette factory girl of Bizet's opera is the one your mother warned you about. In the title role of the New Orleans Opera Association's season-opener, Chauvet is one of the most bewitching Carmens I've ever seen." "From her bold opening entrance to her fateful end, Chauvet embodied the role making her distinctly an anti-heroine. 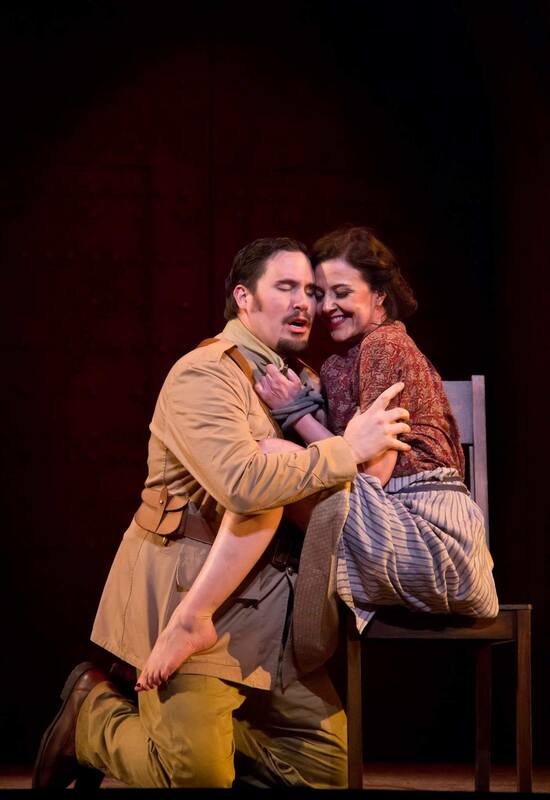 Chauvet's Carmen is far too fearless to be concerned with redemption. Even when her passion for Don Jose reaches its depths, we're always aware she's watching out for herself." "That boldness of character certainly was expressed vocally. With a richly warm mezzo, her set pieces, such as the "Habanera" and "Seguidilla," were high points of the night. Indeed, the caliber of singing throughout the performance was exceedingly strong."